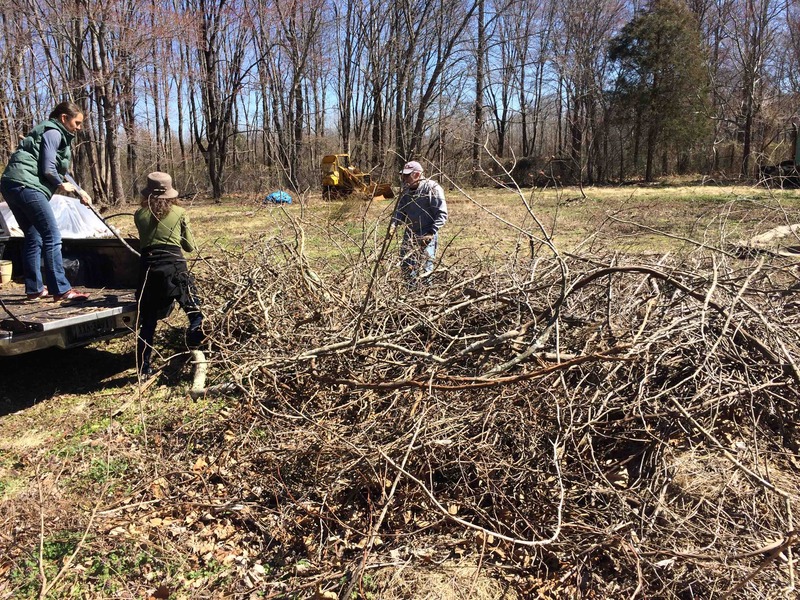 ©2018 Blue Ridge Life : Photos By BRL Photographer Kat Turner : Volunteers help load up cleared brush this past Sunday – March 18, 2018 as part of the Spruce Creek Park Volunteer Work Day just south of Nellysford. We’ve been telling you about Spruce Creek Park just south of Nellysford for years. It’s a special park just behind the Rockfish Valley Natural History Center. For the past several years it’s been getting a makeover and lots of improvements. This past Sunday lots of volunteers took advantage of full sunshine and pleasant temps to help cleanup the park and get it ready for summer. 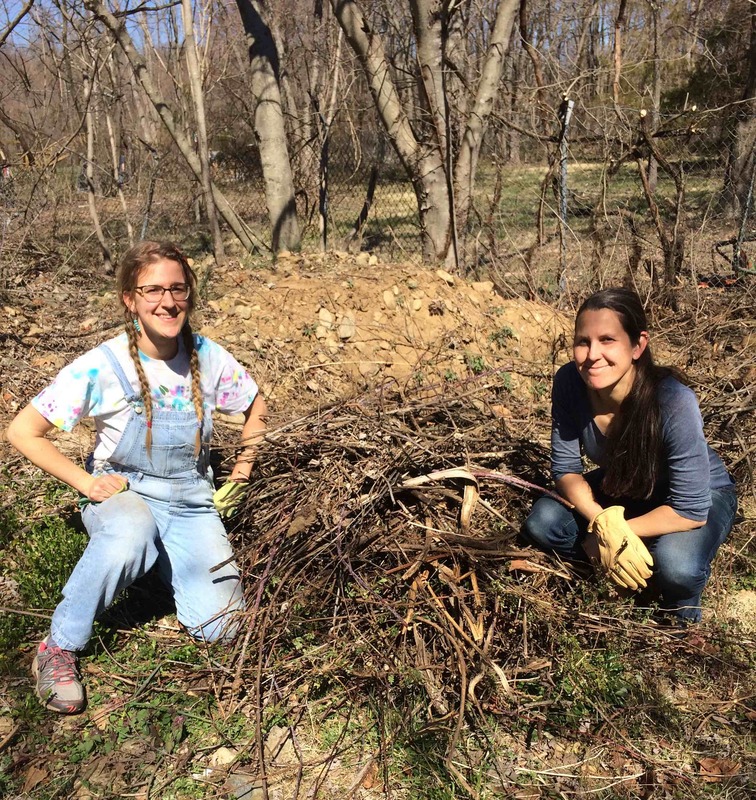 Volunteers helped clear brush in preparation for the installation of a new gaga-ball pit. Our photographer that took these photos put the camera down for a second for a photo with Erika Howsare (right) who helped coordinate the cleanup. Kat also volunteered this past Sunday at Spruce Creek. Above more photos from Sunday’s Spruce Creek Park Volunteer Work Day. 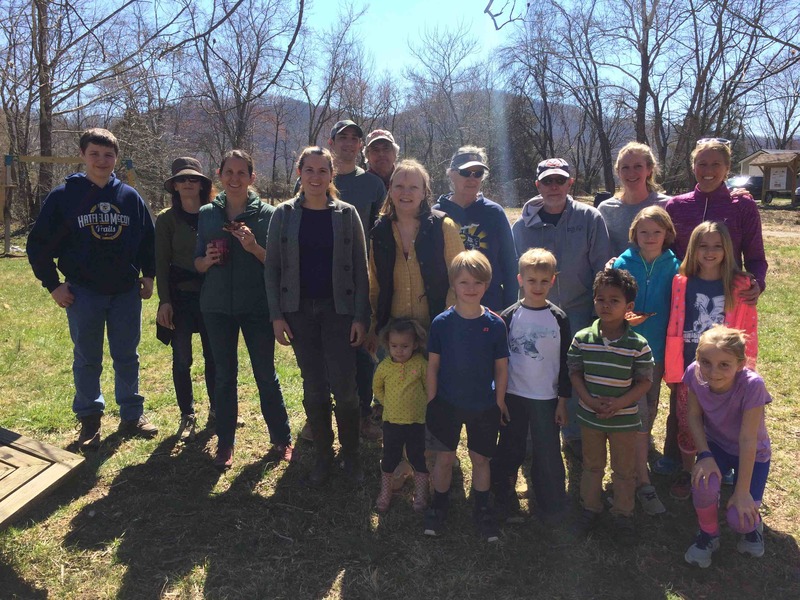 There’s a Rockfish Valley Foundation trails clean up scheduled for next weekend. If you’d like to help the best way to contact them for more info about volunteering is through their Facebook Page by clicking here. Kudo to everyone that helped out this past Sunday! SPRUCE CREEK / NELLYSFORD : Lilly’s Back!